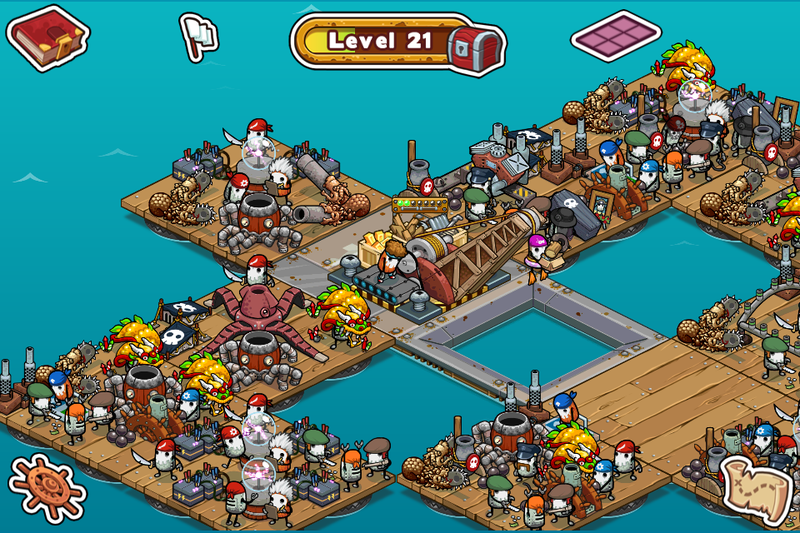 Dive into the mean seas in search of weapons, resources, blueprints, maps, diamonds, and gold. All of those materials are needed to protect your ship against an onslaught of 25 different bosses across five zones, and, more perilous still, the wrath of other players! More weapons mean more dice rolls for a higher chance to damage enemy ships, and more power to defend the ship while the captain is offline.